A mighty month is in store, culminating in a Grand Fixed Cross from the 23rd of October. Anything which needs to truly change which we may be resisting, will now need to change. The big news this month concerns Venus, which slams on the brakes and goes into a retrograde on the 5th, and in the most deeply passionate part of your scope, but will be squaring up to your ruler Mars for the first two weeks of October. Patience will really be a virtue, whether it's in terms of your long-term hopes around business and finance or a deeper involvement. There could be someone that you're very fond of, but who may seem to be limiting the way you express yourself. If this is so, this situation may need urgent attention this month. You have a great opportunity to tackle this however, especially from the 10th, 23rd and 24th. But if you decide your freedom is being cramped too much, you may decide to start afresh Taurus. A fantastic New Moon on the 9th encourages you to express your talent to the full. But it's going to be important to tune into your imagination too. Just doing things which are functional is probably not going to excite you as much as really putting your heart and soul into your projects. If you're looking for a job, the 23rd to the 30th, could prove to be particularly fortunate for you. With Venus tracking backwards in a retrograde from the 5th and clashing with Mars for the first two weeks of this month, some tender moments may be possible around your love life. This can be particularly so if you have an idealized notion of how things should be. Yet some really fortunate trends in your Solar Horoscope are to emerge later this month, and can particularly see you drawn towards someone unusual. You may find yourself rethinking some home based plans this month, but this can be very positive with a new paint or wall covering scheme, rearrangement of the furnishings, extra space being created or even a home-based business. Fitting this in with others' needs may take some diplomacy however. 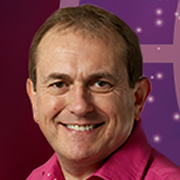 The Full Moon on the 24th, points towards a surprise professional opportunity. Stay alert to this. The trick this month I think, is to not try too hard. You can be one of the zodiac signs that often goes out of your way to assist others, which can see you being very self-sacrificing. But whether in a personal context or other relationships, good boundaries are going to be a smart thing to have. You may want to enter a free prize draw from the 23rd. You may just get lucky! Your guide planet Venus is set to apply the brakes from the 5th, and for the rest of the month will stay in retrograde. The side of you that absolutely adores a slice of luxury, may need to be balanced against what makes most sense for your budget. Yet for the first two weeks, you may find yourself being more impulsive. A fresh look at an existing strand can create dividends on the 24th. There is a tremendous amount of activity based in your sign, and your traditional ruling planet Mars, this month. Once the Sun does move into Scorpio on the 23rd joining with Mercury Venus and Jupiter, there is a fabulous opportunity to drive your hopes forwards. Progress before then can be good, and you may even give yourself a new glamorous makeover. Fresh ideas abound! You are a zodiac sign that has a strong appreciation of people being frank with you, and allowing you to be equally direct. But relationships are often an area of great sensitivity, and the more you can embrace this approach this month, the better it will be. Cross wires are possible, but equally your appreciation for someone from your past may absolutely skyrocket Sagittarius. That old saying that business and pleasure don't always mix, could be borne out this month Capricorn, when someone you have been friendly with could turn out to be a little bit of a disappointment over a financial issue, or a matter of values. Still, there is a great opportunity to make progress around your goals, and the more you can network with others, the better you will do. 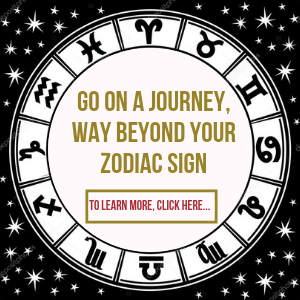 You may well be a zodiac sign that doesn't invest too much energy in cultivating your public image or identity, but we do live in an age where perceptions count for a lot, and it will be important this October to interact with anyone influential carefully. Mind, if you are travelling, and perhaps even to do with your work, this could turn out to be a fortuitous month for you Aquarius. The Full Moon of the 24th, gives you an amazing opportunity to bring a sense of freshness into your thinking, activities and communications. There could also be the chance to snaffle a new mode of transport or if you're tech minded, the latest gadget. Someone could spring a surprise on you in the last few days as Uranus goes opposite Venus however. Perhaps even a visitor from overseas.